Erik had the day off for President's Day and was nice enough to check one of our house projects off our to do list. I have wanted to change the lights in our kitchen since we moved in last May. 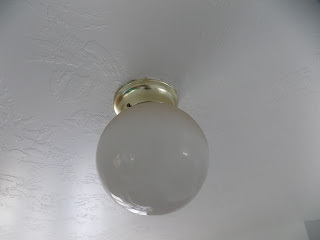 Our house was built in the mid 90's and had the original light fixtures. Here are the original fixtures. I feel like they looked light giant lightbulbs coming out of the ceiling. 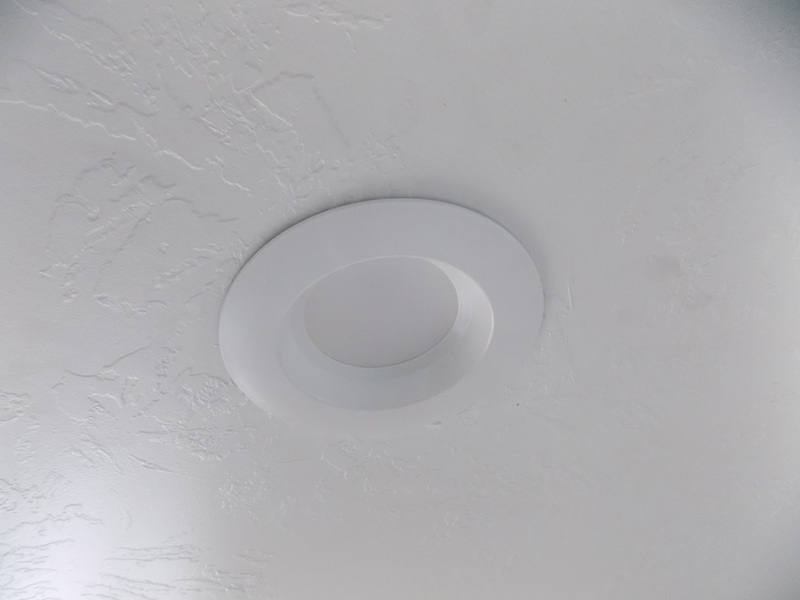 After looking at a few things online and observing other people's lights in their kitchens, we decided that we liked the look of recessed lights. After months of putting it off. They are LED lights and you can really tell a difference. Not only was Erik nice enough to switch the lights out, he also took pictures because he knew I wanted them for the blog. They are step by step pictures of how to switch them out and he offered to write the instructions for the blog. What do you think of the lights?